What does an average year for the FTSE 100 Index look like? 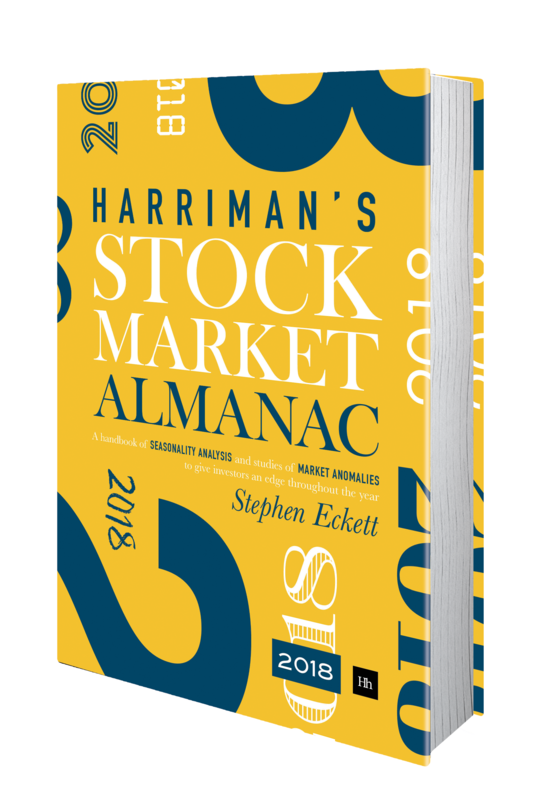 The summary pages for each month in the diary section of the Almanac have charts that show the average cumulative behaviour of the market day-by-day. These charts are produced by calculating the daily mean return for each day in the trading year over a specific period (in this case from 1984). For example, if we take the index returns on the first trading of January for the 29 years since 1985 we can calculate the average return to be 0.38%. With this we can say that on average the FTSE 100 Index increased 0.38% on the first trading day of January over the period 1984-2015. We can repeat this process for the second trading day of January, and the third, etc. until we have a set of average returns for all the trading days of January. With this set of returns we can plot an average index for the market in January (we will set the index to start at 100). For example, the average return for the market on the first trading day is 0.38%, and so the average index would close at 100.38 on the first trading day of January. By concatenating the average index data for each month, we can create an average index chart for the whole year. This is shown in the following chart. Phase 3: it rises strongly in the final two months of the year. This annual market behaviour profile concurs with what we already knew about the market, but it is illustrated simply and efficiently in this one chart. This entry was posted in Market, News and tagged average chart, average year by Almanacist. Bookmark the permalink.